So you are happy with your fast internet connection and all the content that you can now download. And you are also happy that the great tools that you have installed which help you create cool documents, videos and much more. This is good unless you are forgetting something. We often forget that computers need maintenance for better performance. Otherwise after a while they will get slower and you might face some serious issues. Here is a quick list of things you should do at least once a month to keep your computer healthy. Uninstall programs you don’t need any more. Delete unwanted files and folders. Run an anti-spyware program to scan your computer for internet threats. Run an anti-virus program to scan your computer for viruses. Make sure automatic updates are turned on. I don’t do all of these things once a month. I clean up disks twice a month and defragmentaion once every three months. 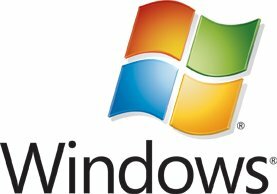 How you maintain your windows PC? Please share your tips in the comment box below.